There is a reason people keep coming to Jennifer Hamilton, DDS. It's because our main goal is to improve the lives of those we serve. Dr. Hamilton has been practicing in Waunakee for over 25 years, providing exceptional customer service and quality care one patient at a time. She recognizes that her patients are unique individuals and wants to build a lifelong relationship with each one. Dr. Hamilton attended Marquette University majoring in biology/pre-dental studies. After taking the dental aptitude test, she was invited to enter Marquette's dental school prior to receiving her bachelor's degree. She graduated from Marquette University School of Dentistry in 1989, and upon graduation was a commissioned officer in the U.S. Public Health Service. 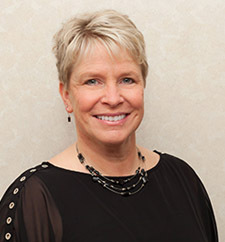 She has been practicing in Waunakee since she opened her private practice in 1990. Dr. Hamilton chose general dentistry because it offers the greatest opportunity to manage her patient's health through a variety of services: from prevention and patient education to restorative treatment - including anything from fixing a broken tooth to replacing one that's been lost - as well as cosmetic/esthetic care, which allows her to give her patients the smile they deserve. Dr. Hamilton grew up in Franksville, WI prior to joining the public health service where she was stationed in Oklahoma. Since opening her dental practice, she has lived in and around Waunakee since 1990. In 2006, Dr. Hamilton and her husband Tim Schaap got married and moved to their farm in Roxbury where they raise Arabian horses. Outside of the office, she enjoys spending time on their farm watching their horses grow up and training her German shepherd puppy Amara. Dr. Hamilton looks forward to welcoming you into her practice and providing you with the exceptional service and care you deserve. 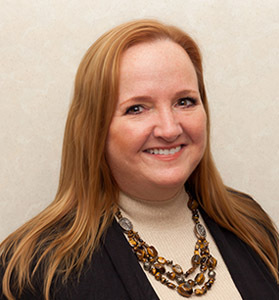 Dr. Conger attended Creighton University in Omaha, Nebraska earning her bachelor's degrees in Biology and Psychology. It is here that she met her husband, Gabe, a Cottage Grove native. After graduation, she worked in our nation's capital at a community dental clinic serving the homeless. This experience led her to pursue a career in dentistry. She returned to the Midwest to continue her education at Creighton and received her master's degree in Clinical Anatomy, followed by her dental degree from Creighton's School of Dentistry. Dr. Conger grew up in Fort Dodge, Iowa â€“ where her parents and grandparents still reside. She is the oldest of four children and loves visiting her siblings who live in Denver and Kansas City. In her free time, she enjoys spending time with her husband and 1 year old daughter, Reagan. As a family, they love to be outdoors - swimming, biking, and relaxing at the family cabin in the Northwoods. Dr. Conger is thrilled to call Waunakee her home! Renee is the Business Manager for Dr. Hamilton. She has been working with Dr. Hamilton since 1998. That's many years of making sure their patients are comfortable and well taken care of! She handles our accounts receivable and payables, marketing & advertising, office goals and is always available to help patients in any way. ReneeÂ grew up in Waunakee and resides here with her husband, Jerry and two boys; Aaron and Ashton. When not at work she enjoys time with family, gardening, volunteering, attending sporting events and working on home projects. 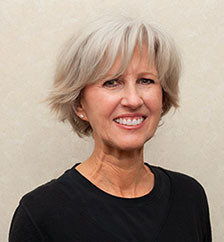 Nance Jo began her dental career over 35 years ago as a surgical dental assistant. 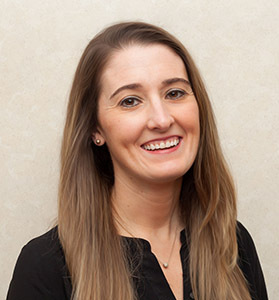 Over the years she expanded and honed her dental skills by working in clinical, administrative and managerial roles.Â These vast skills allow her to better assist our patients and to be a "team" member you can rely and count on. She devotes her spare time to family and friends.Â She is always ready for new ventures and making new memories! 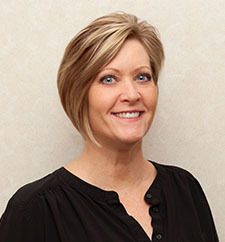 Brenda is part of our helpful front office staff.Â When not at the dental office, she and her husband are out enjoying time at their cabin, shooting trap, cheering on the Badgers and Packers or enjoying time spent with family and friends.Â She looks forward to working with you! 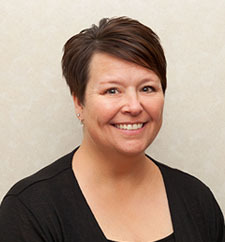 Amy is a Registered Dental Hygienist and has been with our practice since 1991. Amy received her Associate degree in Dental Hygiene from M.A.T.C. What Amy enjoys most about her job is the lasting relationships she has made with patients over the years. She has had the privilege of meeting several generations of family members and takes pride in the exceptional care she has given them over the years. Amy is a lifelong resident of Waunakee. She resides with her husband, Brian, their four children. Outside of work, Amy enjoys spending time with family at her family's lake home in Minocqua, fishing, gardening. 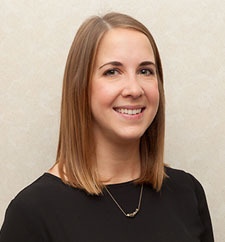 Colleen, a Registered Dental Hygienist, joined our practice in May of 2018. Colleen graduated with her AAS - Dental Hygiene degree from William Rainey Harper College in Palatine, IL. Colleen's favorite part about dental hygiene is getting to know her patients and providing them comfortable, thorough dental hygiene care. She also loves teaching her patients how to best care for their smile. After living in Chicago and Colorado, Colleen and her husband Sam are happy to call the northside of Madison home. They have a dog, Cooper and a cat named Arya. In her spare time she loves to be outside - hiking, camping, biking, you name it! She also enjoys live music, crafting, reading and playing board games. April is a Madison College graduate of 2009 for Dental Hygiene. She loves working with patients and making them smile! In her free time she enjoys spending time with her daughter, reading, crocheting, and scrapbooking. Rachel is one of our Dental Assistants, she was born and raised in New Orleans. She moved to Madison in 2010 and attended WCTC for Dental Assisting. She has expanded dental experiences in Endodontics, Extractions, and Implants. She brings a lot of dental experience to our office! When not at the office she enjoys cheering on the New Orleans Saints, repurposing her 120 year old home, crawfish boils & BBQ's with friends and Family. 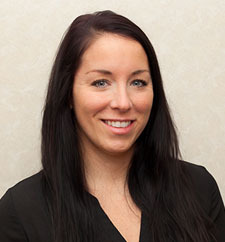 She loves enhancing patient smiles everyday and looks forward to taking care of you! Jennifer is a Certified Dental Assistant through the DANB. She graduated from NWTC Green Bay in 2007. 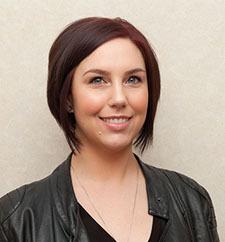 What she likes best about her job is being able to help educate patients about their oral health and treatment options. 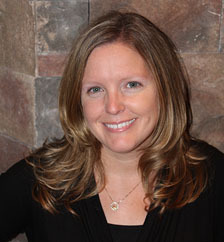 JenniÂ resides in Rock Springs with her her family, but is originally from the UP of Michigan. When not at work, you can find her outside, working around the house, hunting camping, skiingÂ or playing at the lake.